ACFM | Associació Catalana de Facility Management - Catalan Association of Facility Management is born. Catalan Association of Facility Management is born. This entity was born with the desire to group professionals, companies and other entities that develop activities related to the Facility Management in Catalonia. Facility Management is the second most important economic item in a company and can generate savings of between 20% and 30%. Tuesday, May 23, 2017 - The Facility Management already has its institution in the Catalan area with the inauguration of the Catalan Association of Facility Management (CAFM). The Presentation Act, which took place yesterday at the CaixaForum Auditorium, featured expert presentations and political positions and brought together 200 attendees. The facility management is responsible for the management of real estate equipment and the provision of support services to its users. According to different studies performed is the second most important economic item of a company and can generate savings between 20 and 30%. The CAFM was born with the intention of grouping all those professionals, companies or other entities that, within their actions, offer, promote or develop any of the activities related to the Facility Management in Catalonia, in order to become a reference center with national and international recognition. Marc Sistach, president of the Catalan Association of Facility Management, opened the act defining Facility Management as "an activity whose ultimate purpose is to provide well-being, security, sustainability and, ultimately, to be the impeller of a better society." Francesc Sutrias i Grau, General Director of Heritage of the Generalitat de Catalunya, announced that "the Generalitat wants to learn everything that allows better management of its heritage and, for this reason, the task of the Catalan Association of Facility Management will be indispensable" . The CAFM invited Luis Morejón, an expert on Facility Management and Director of GWS CBRE in Silicon Valley. Morejón confirmed Sistach's speech and stated that "Facility Management brings quality of life to society." Morejón added: "By the year 2021, the volume of business of this sector will grow approximately 175 billion." Agustí Abelaira, General Services Director of Barcelona City Council, concluded: "The experiences of the consistory with companies of Facility Management have been very positive. 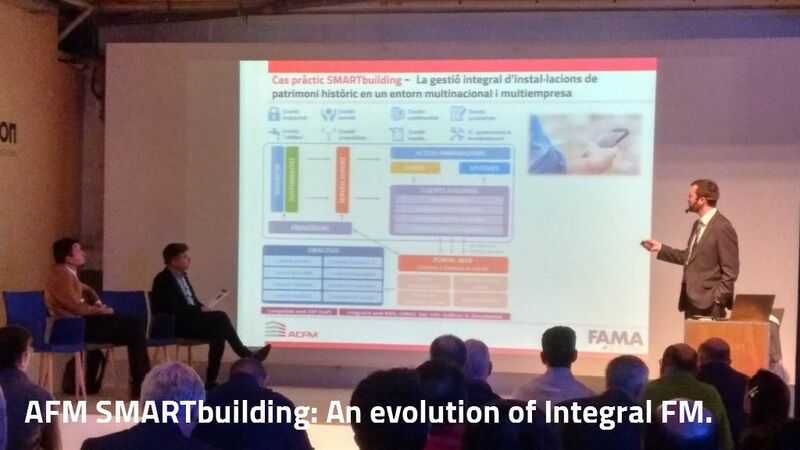 We want to work on projects that focus on the integral management of buildings." For more information, please contact Pablo Monfort (+34697408760).